If you have an interest in corrections or concern for our "correctional" approach in America, this provides history and perspective that is often heartbreaking. A fascinating and horrifying look at the prison system, written by two convicted murderers who spent decades behind bars. 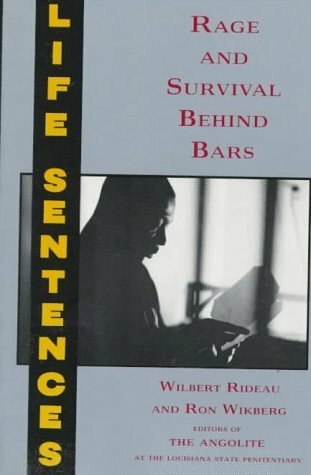 Rideau and Wikberg provide a history of the prison system, penal labor battalions etc. Their focus is on those inmates serving very long sentences and those facing the death penalty.What they have to report is very disturbing: petitions for clemency lying unread in a pile of papers for years or decades, lifers who theoretically have parole eligibility getting completely forgotten and dying behind bars while others with the same sentence are set free, hideous overcrowding, and so on.This book was published in 1992, and the articles were written in the 1970s and 1980s. So it's dated. I think things have probably just changed for the worse now, as more and more people are behind bars serving very long terms. Before I read this I had no idea that there were prison newspapers. The two editors of this book were prisoners who were also editors of the "Angloite" the news paper of Angola in Louisiana. The book is a collection of articles from that paper with a little follow-up to them. It reveals a lot about life in prison. A great read.